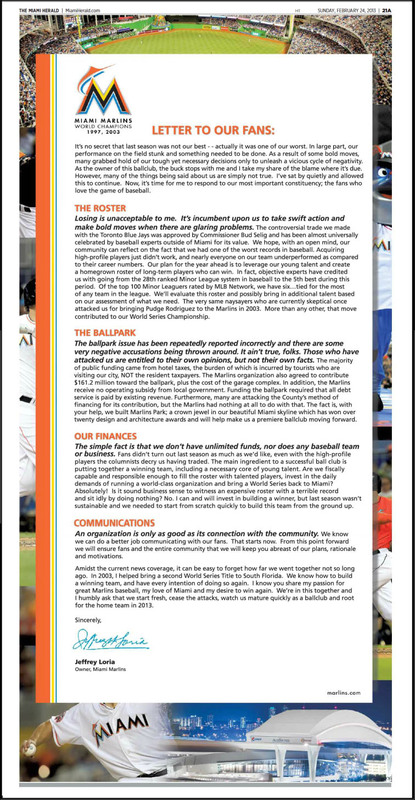 Marlins owner Jeffrey Loria spent Only God Knows How Much to run an ad today in three South Florida newspapers, including the Miami Herald. If early reaction is any indication, Loria couldn't undo the public relations nightmare he's created if he went out tomorrow and bought a brand new Hummer for every South Florida baseball fan. 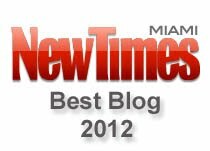 Read some comments made about the ad on the NBC Sports Hardball Talk blog and the Herald's Fish Bytes blog. 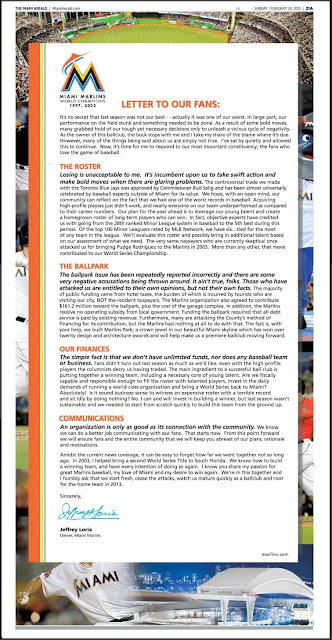 If open letter from @marlins owner Loria is an attempt at damage control - he actually made things worse. 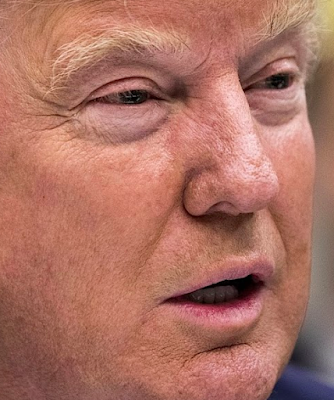 It was an incredibly insulting ad.